The key difference with this project is that it provides insight into what people are actually feeling. 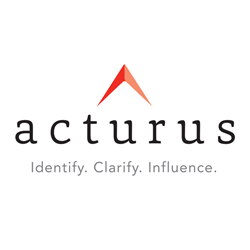 Actûrus, a leading custom research based consultancy, has partnered with NeuroGPS, a company that blends neuroscience, personality theory, and clinical psychology, to gather voter insight on of one of the most controversial presidential elections in American history. The study uncovered many of the subconscious associations and emotions voters feel towards our 2016 Presidential Candidates, many of which could potentially affect the polls come Election Day. “The key difference with this project is that’s it’s not limited to what people say as it provides insight into what they are actually feeling. The distinction between the two can be striking and these insights can lead to a better understanding of what people will do once the voting curtain closes,” says Doug Guion, President of actûrus. Each survey participant was exposed to 16 word associations for each candidate; 8 positive, 8 negative. The attributes were tested explicitly (using a traditional survey asking respondents to rate each candidate on a strongly agree to strongly disagree scale) and implicitly (using NeuroGPS BAT technology). The study uncovered many areas of dissonance between what voters say versus how they actually feel. Clinton supporters explicitly state she is more “Presidential” relative to Trump (ranked 1st vs 4th). However, implicitly this is not the case. “Presidential” falls to 3rd position for Clinton while among Trump supporters the term rises to 1st place potentially indicating that subconsciously people more strongly associate the Presidency with a man more than a woman. Among Clinton supporters the term “Trustworthy” explicitly lands in the middle of the attribute list but implicitly ranks in 16th place. Similarly the term “Dangerous” is explicitly ranked last or at the bottom of the list across both genders among Clinton supporters but ranks in 1st or 2nd place when measured implicitly. This implies that despite vocal support for Clinton, there remains a strong undercurrent of concern. Among Trump supporters the term “Successful” tops the list explicitly but is ranked 2nd to last implicitly, indicating there is significant gap between how people say they view success vs. how they actually associate success to the candidate. Trump supporters have a surprising degree of parity across gender lines when explicitly describing his attributes (only one position change out of 16 total attributes). Interestingly, both genders rank the term “Presidential” in 5th position for Trump explicitly but implicitly this attribute ranks first for both as well. Trump ranks explicitly higher in stated “Trustworthiness” than Clinton (ranked 5th vs 8th) His implicit data validates this sentiment with a 7 out of 16 ranking vs. Clinton who ranks last for this attribute. Across all genders, age groups and ethnicities both Clinton and Trump supporters explicitly have their top five attributes exclusively positive while implicitly only 2 or 3 remain. The balance of positive attributes are instead replaced by negative associations such as “Arrogant”, “Prejudiced” or “Dangerous”. There have been few Presidential races as polarized and divided as that of Clinton and Trump. However, despite strong messaging coming from their respective supporters we saw polarization existed between what supporters claim they feel vs what’s held in their subconscious mind. While opinion polls tell you only what people are aware of, adding implicit information can achieve a surprising and more nuanced understanding of how voters truly feel about their candidate. Actûrus is a leading custom research based consultancy specializing in qualitative, quantitative and multi-sponsored studies. We are unique in our ability to provide an unprecedented 360° perspective on the powerful connection between consumers and influencers helping to optimize business and brand performance. Actûrus staff is composed of highly trained research professionals with a vast array of expertise on a global basis. For more information, about our studies visit us at http://www.acturus.com or call 860.242.2005 ext.1122. NeuroGPS™, is a web-based implicit research platform. We uncover people's subconscious feelings and emotions that are embedded in their brains and motivate their behavior, like purchasing and voting decisions. NeuroGPS™ discovers what is emotionally appealing about a brand, digital assets, commercial, or personality. Our online platform can be used by itself, or in conjunction with explicit methods, to provide insight into people’s subconscious thoughts and feelings – insight that cannot be revealed explicitly. Please visit http://www.neurogps.com to find out more about The Brain Associations Test™ (BAT) and the Brain Reactions Test™ (BRT).